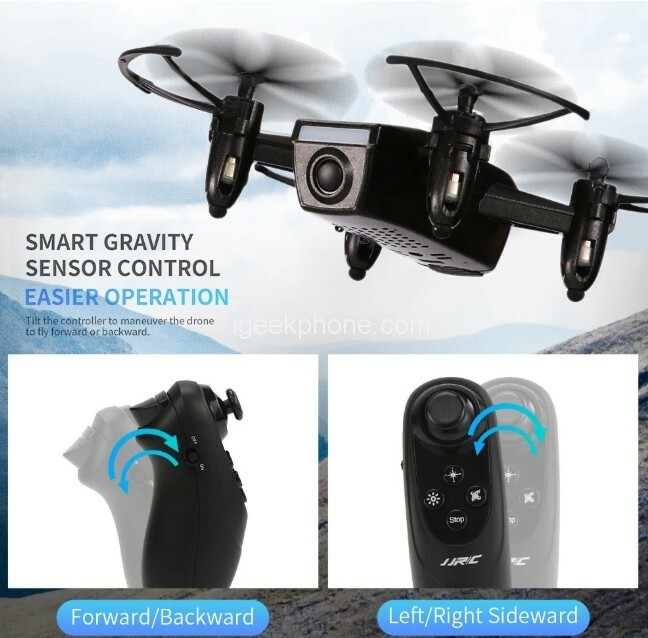 The JJRC H52 Mini Quadcopter features gravity sensor remote control, it allows you to fly the drone forward/backward/left sideward/right sideward in correspondence to the angle of the remote controller. With the built-in barometer altitude hold, the drone is capable to hover stably at your desired altitude. Small fuselage and lightweight, delicate design, easy and convenient to carry outside. JJRC H52 Mini Quadcopter adopts the Plastic material on the fuselage, resulted in stronger tenacity, corrosion resistance, wear resistance and ensures a better protection when falling off. 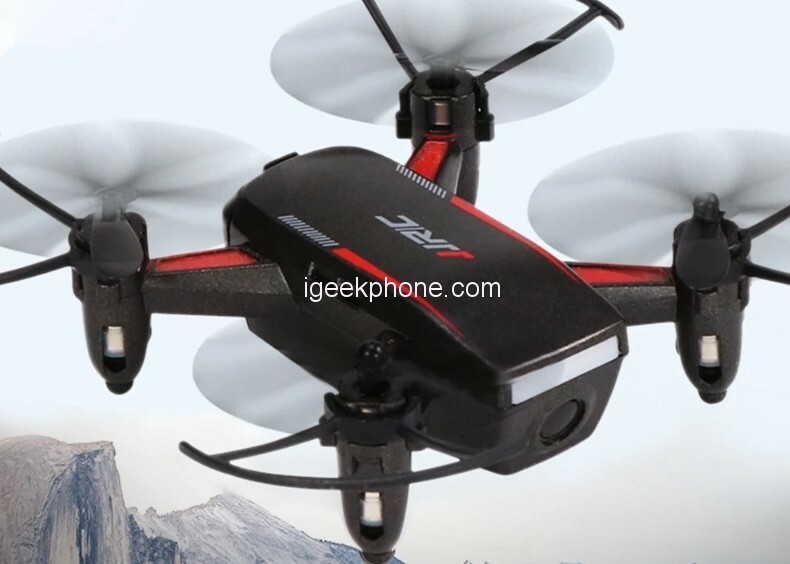 It’s also an exquisite appearance and palm-sized, you will love this amazing mini-drone just as I do. The JJRC H52 Mini Quadcopter is a small yet powerful drone that turns the sky into your creative canvas easily and without worries. This White\Black design reminds of a stealth design With LED flashlight enables you to fly in the dark at night and easy to identify the head and tail. 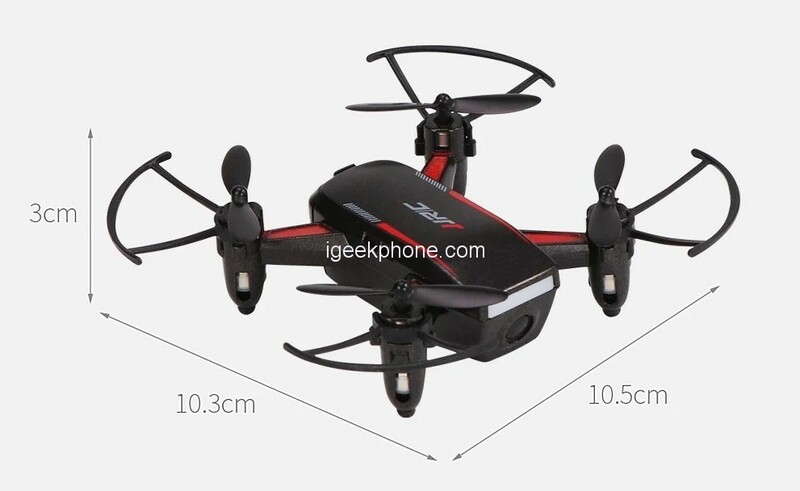 JJRC H52 Mini Quadcopter has 10.5 * 10.3 * 3cm dimensions and 94g weight. It’s light and easy to carry, the headless mode makes you never worry about the drone flying away. This drone features gravity sensor control, you can control your drone by waving your controller. Allows you to fly the drone forward/backward/left sideward/right sideward in correspondence to the angle of a remote controller. With the built-in barometer altitude hold, the drone is capable to hover stably at your desired altitude. One key takeoff and landing, even the newbies can control the drone to take off and land simply in one press. The headless mode allows you to navigate the drone easily without knowing the direction. Switch speed of high, medium and low to meet your own demands, give you more exciting experience. Detachable 3.7V 250mAh lipo battery design, easy to assemble and disassemble, convenient for charging.